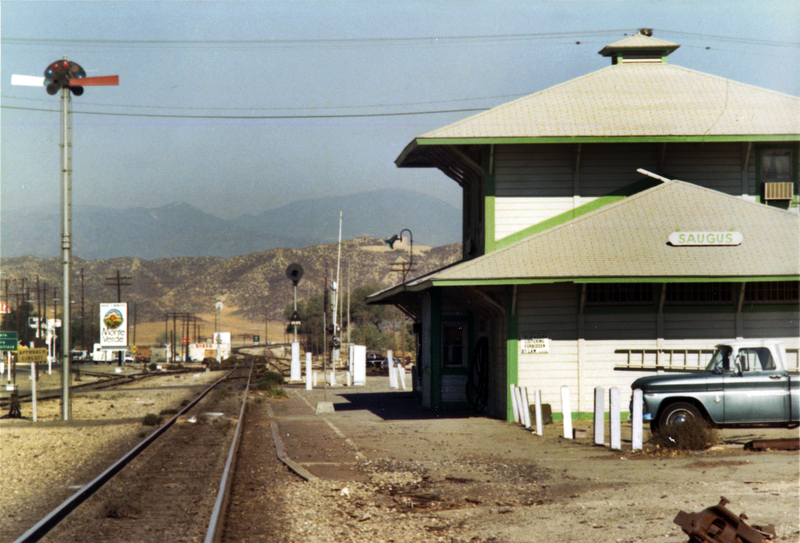 SPRR's Saugus depot in its original location at the southeast corner of Drayton Street and San Fernando Road (aka Bouquet), looking north, with its semaphore at left. Click here to see detail of real estate sign in the background. Photograph developed November 1970. Click here to see Charlie Chaplin from a similar vantage point in the 1923 film, "The Pilgrim."